"This is my dream job!" exclaims Emma as she discusses her position at Heartland Center. She is the oldest of twin girls (her sister also works at Heartland). She grew up in Lawrence, Kansas. Her degree is in Art Education from the University of Kansas. Many summers she attended camps at Heartland Center and then was on summer staff. As she prepared for her degree she frequently thought about how to apply what she was learning to the camp experience. She views the art aspect of education as bringing creativity to planning and developing curriculum for the day camps. In her work she focuses on the specifics for the various age groups of the campers. As she talks about her role, her passion for the ministry of sharing the the Gospel of Jesus Christ is evident. Welcome to Heartland Center, Emma! YOU'RE INVITED, come celebrate with us! August 4th - "60th Celebration Birthday Bash!" Register here! August 3rd-5th - "Staff Reunion Weekend!" RSVP for this free event here! European Reformation Tour featuring Oberammergau Passion Play. Walk in the footsteps of Martin Luther on this faith based Germany tour highlighting the European Reformation and featuring the Oberammergau Passion Play, which has been performed every 10 years since 1634. You can also contact Sandy Nelson at Cruise Planners (816)808-8345 or snelson@cruiseplanners.net and check out details here. We'll also be posting more information in the newsletter, so stay tuned. Heartland Presbyterian Center is delighted to present information about this exciting trip, solely because Heartland believes its patrons and friends will find the information interesting and useful. Heartland is not affiliated with the trip in any, and is not supporting, promoting, or recommending the trip, and is not assuming any liability whatsoever related to the trip or to providing information about it. The Wilderness Camp was one of the earliest camps at Heartland. The campers lived in hogans and cooked their own meals over a campfire. They did their own dishes and carried on with activities rain or shine. Evolving from this original camp are currently the Outpost Camp, the Challenge Camp, and the Camper versus the Wild Camp which continue to be favorites of the participants. Whether under the canvases in the wilderness or in a cabin, it is being part of a group and sharing faith experiences which strengthen young campers in their faith and knowledge that God is in their lives. There is still time to become a Summer Camp Counselor here at Heartland. Benefits include a salary along with room and board, with time off on weekends. 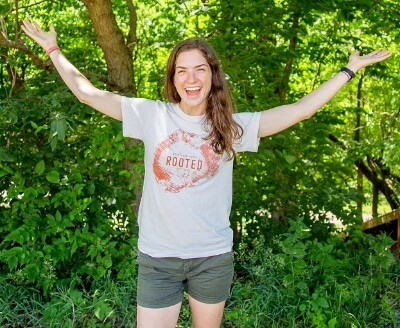 If you feel called to contribute to an amazing Christ-based experience for youth, visit our summer staff page here for an application and details. If you have a few days or a week to give, we'd love to have you out to volunteer too! View our volunteer promotion and details here. "Both of my children said the whole experience was amazing. One thing that stood out the most for them was the almost immediate bond they formed with the counselors. Such a wonderful group of young people to help guide my girls in their walk with Jesus." "My kids started to initiate prayer on their own after going to camp. They also seem to have sparked interest in God and church as they have been very inquisitive ever since attending camp." "She enjoyed everything, but especially LOVED her counselors and the songs." In the month of July, please keep the following groups in prayer as they visit our campus. Consider leaving your legacy with Heartland Center through estate planning.